The boom in the Great Indian Smartphone Bazaar continues unabated, with quite a few new brands vying for your money. Incumbents are using new strategies to lure buyers. Xiaomi for example, now has a new sub-brand with the killer POCO F1 in the offing, a smartphone that obliterates rivals purely on specs and pricing. Realme, which was born as OPPO’s sub-brand but eventually branched out as a separate brand, also has some interesting, VFM offerings. South Korean major Samsung is bringing flagship features to the mid-range and now has mid-tier options with three, even four rear cameras. Lenovo has just made a comeback into the Indian smartphone market, while new brands like Comio, itel, Tambo, Infinix etc are making things even more confusing for buyers. Amidst this cacophony are the millions of smartphone users in India, with many of them now looking to upgrade. 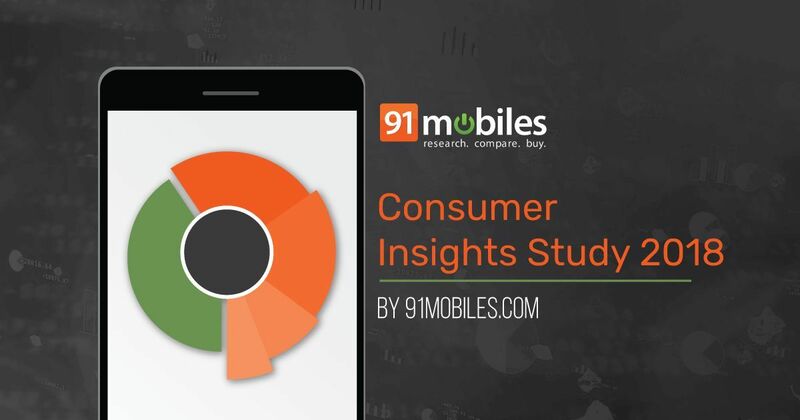 To understand how satisfied users are with their current smartphone, whether they’ll recommend the same brands to others, and the issues they face with their daily drivers on a regular basis, we at 91mobiles conducted a large-scale online survey. And thanks to over 15,000 smartphone users who responded to the survey, we were able to analyse the data and come up with the answers we were looking for. Before we get to the specifics though, let’s set the context. Note that the findings of this survey are representative of the 15,000+ entries we received. The other features users miss the most are front-facing flash, display notch and face unlock. The presence of the display notch in this list is interesting, since the usual perception is that screen cut-outs are ugly and affect the media viewing experience. 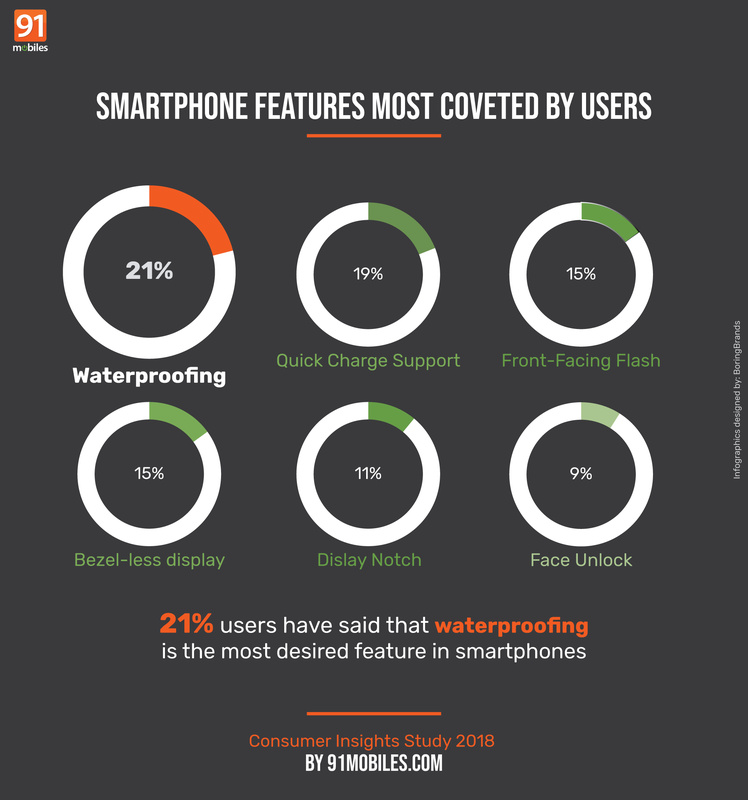 However, the ground reality is that most smartphone manufacturers have boarded the bandwagon as far as this particular feature is concerned, and display notches are now available on affordable phones as well. With 11 percent respondents showing their interest, it’s clear that the feature is now desired by many who those don’t already have it on their daily drivers. 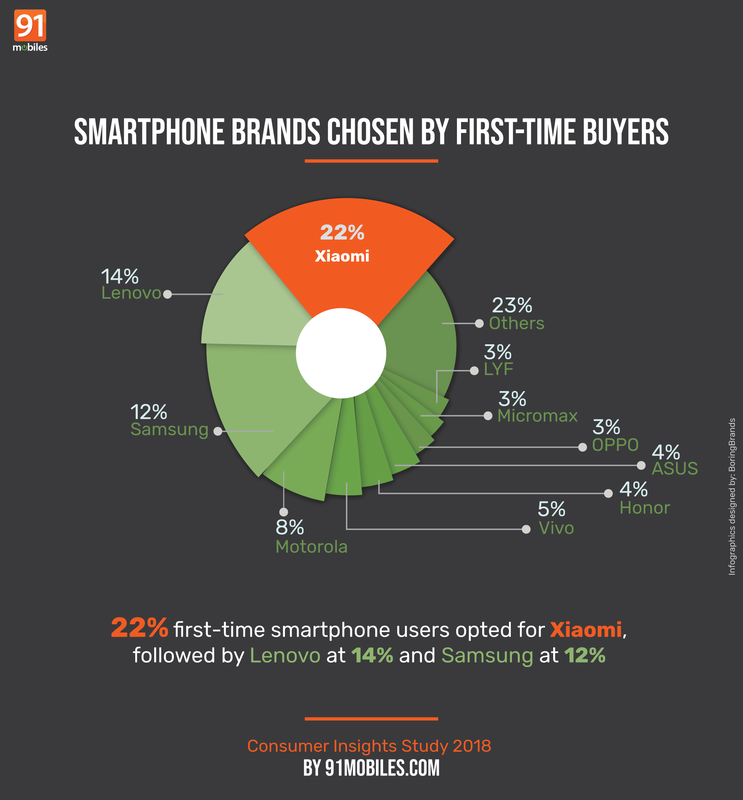 Another interesting highlight that comes out from our data analysis is the fact that 22 percent of first-time smartphone users are using a Xiaomi device. This is understandable, since Xiaomi’s lot of smartphones, especially those from the affordable Redmi series, clearly offer a lot in terms of value for money. With a share of 14 percent and 12 percent respectively, Lenovo and Samsung were also pretty popular among first-time users. However, do note that Lenovo was missing in action from the Indian smartphone space for a while, and has just made a comeback. 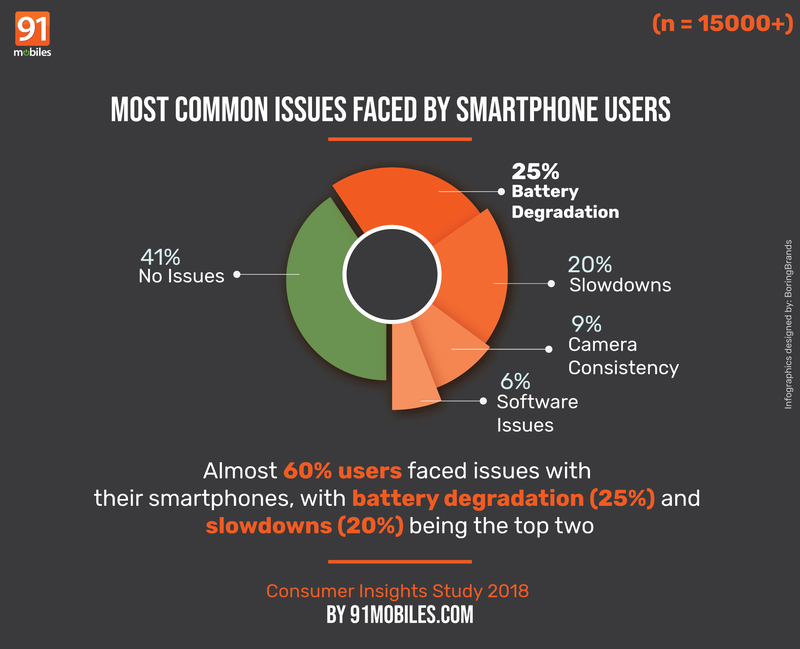 Given that over half the survey respondents have owned their phones for over a year, this data pertaining to Lenovo isn’t really very relevant now. Among the new names, Xiaomi’s sub-brand POCO seems to be emerging as the one to look out for, as almost 10 percent of respondents want to migrate to it. We asked respondents how they’d rate their current smartphone on value for money, on a scale of 1 to 5, with 5 being the highest. 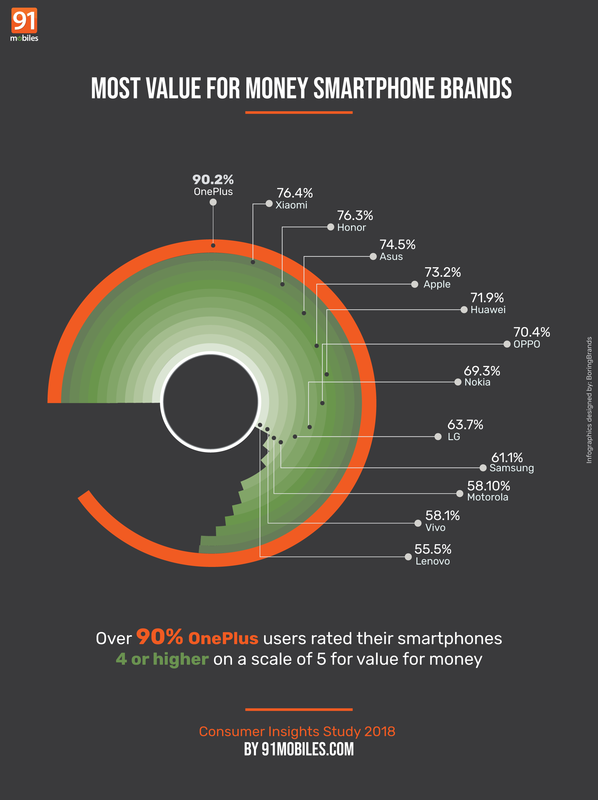 As it turned out, OnePlus scored the highest, with over 90 percent users rating its smartphones 4 or higher. Xiaomi and Honor score high too, with over 76 percent respondents rating these brands 4 or above. The brands that didn’t fare well here include LG, Samsung, Motorola, Vivo and Lenovo. Samsung sits closer to the bottom of the list, with 61 percent users saying they’d rate their phones 4 or higher. The importance of our smartphones in our daily lives can’t be over-emphasised – it’s the most personal of our gadgets, stores all our personal and financial information, and is the go-to device for everything from communication to photography. Needless to say, any issue that crops up on our smartphone would be a matter of great concern. Let’s take a look at some of the most common issues users faced. Looking at the responses to the question whether the users had to take their phones in for service ever, the number of people who replied in the affirmative is 23 percent. To put it in a more straightforward manner, about a quarter of the respondents had to make a visit to the service centre. The percentage seems quite high if you ask us, and brands definitely need to improve manufacturing quality and use better components to ensure their users don’t need to make the dreaded trip to the service centre. After we broke up the data on service centre visits, the insights that appeared were quite interesting. 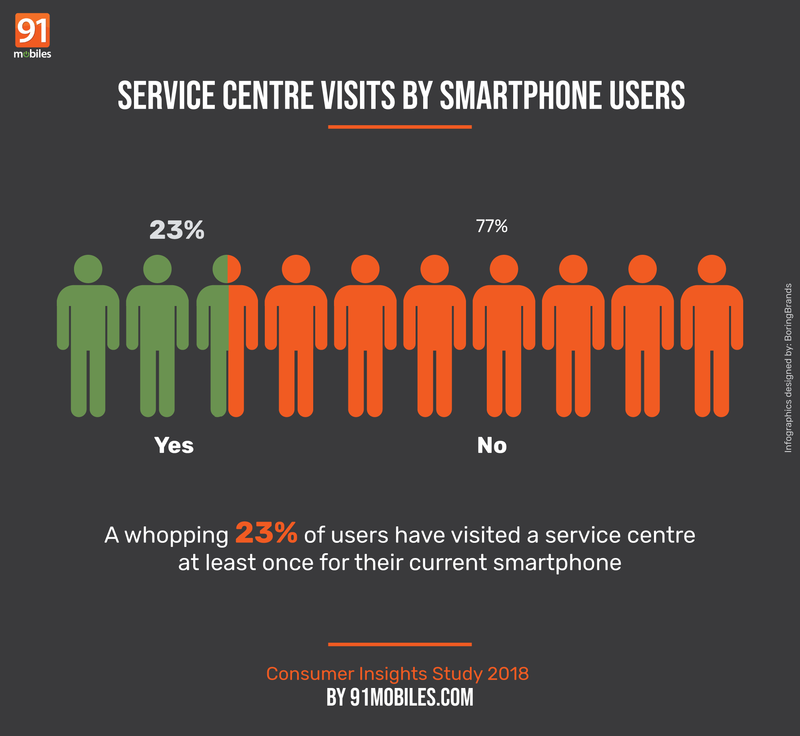 Turns out, just 12.6 percent Honor users had to visit a service centre. 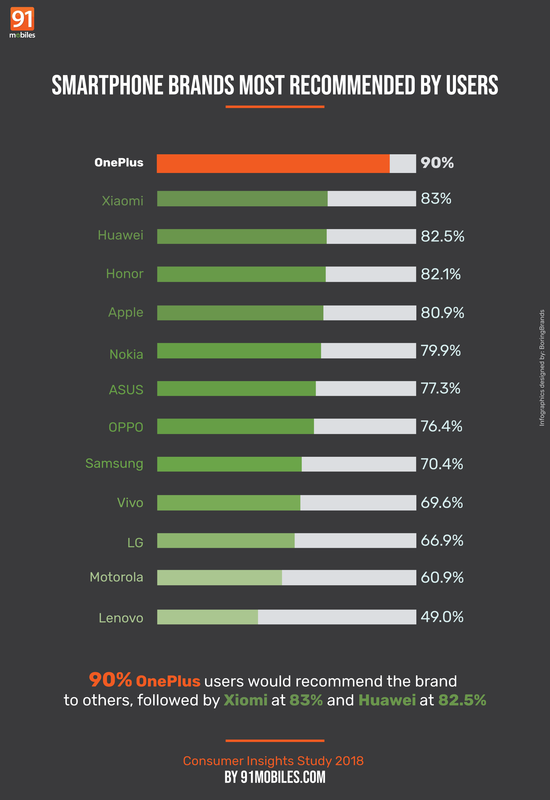 Even OnePlus scored well here, as just 15.5 percent of its users had to make the trip. It’s clear that while some brands fare better compared to others as far as satisfaction is concerned, there’s a lot more that smartphone manufacturers need to do to ensure their users stay loyal. We have lots more data and analysis from our Consumer Insights Study to share, watch this space.